The number of people referred for treatment from January to March (Q4) increased to 367,689 by around 17,000 from 350,505 in Q3. The 15 per cent access target was exceeded hitting a new high of 16.8 per cent. NHS England has today (23 September 2015) published a six-monthly data report on patient safety incidents reported to the National Reporting and Learning System (NRLS) between 1 October 2014 and 31 March 2015. Acute hospitals, mental health services, community trusts, ambulance services and primary care organisations report incidents to the NRLS where any patient could have been harmed or has suffered any level of harm. The reporting of incidents to a national central system helps protect patients from avoidable harm by increasing opportunities to learn from mistakes and where things go wrong. 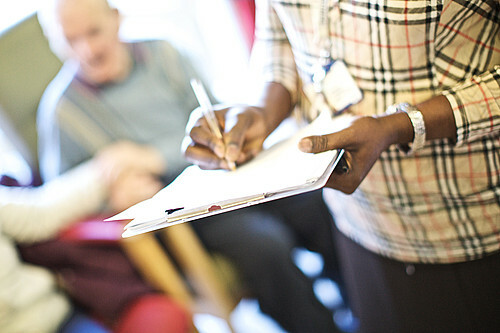 Vulnerable patients are being discharged from hospital unsafely and sent home to situations where they have inadequate support because of lack of coordination between health, social care, and community services, an investigation by the healthcare consumer organisation Healthwatch England has found. The investigation was based on the experiences of discharge of 3230 people considered as vulnerable (elderly people, homeless people, and people with mental health conditions) and on information gathered from trusts through freedom of information legislation and from surveys of patients. Smoking may increase the risk of developing schizophrenia, an analysis by a team from King’s College, London has found. An association between cigarettes and psychotic symptoms has been reported before, but it has been generally assumed that this arises because people with the symptoms take up smoking as a way to relieve distress, counteract the symptoms, or manage the side effects of drugs used to treat them. A systematic review suggests that pharmacy-based screening for cardiovascular risk factors may be possible. However, many people do not act on the advice to visit their GP, and the effect of screening on new diagnoses has not been robustly shown. An open-label randomised controlled trial finds that people with hypertension who self-monitor their blood pressure and up-titrate their antihypertensive medication experience a greater reduction in systolic blood pressure than people who manage hypertension with usual care. A meta-analysis finds that stopping smoking is associated with reductions in anxiety, depression and stress, and improvements in quality of life and mood. A Cochrane review reports that alpha-blockers are more effective at expelling ureteral stones less than 10 mm in diameter than standard therapy or calcium channel blockers. Two meta-analyses report that restricting transfusion of red blood cells to people with a haemoglobin level of either less than 7.0 g/dl or 6.4 g/dl to 9.7 g/dl reduces mortality and serious infection, but does not significantly affect the overall risk of infection.